Horror and heartbreak were in the air when I arrived at the College of Charleston ten months ago. The city remained in the shadows of the Mother Emanuel massacre. 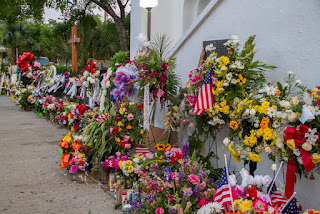 Each time I saw the church it seemed a new bouquet of flowers greeted passersby, a new memorial made. Signs were still posted, t-shirts still sold in September when I joined Charleston's Days of Grace march and rally. 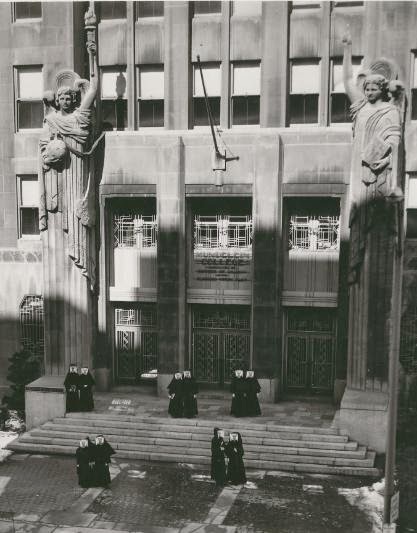 Eventually, though, the wreathes came down and the church facade became a front door once more (albeit one photographed frequently by visitors). The material culture of memorialization accumulated for months in front of Mother Emanuel A.M.E. Church. It was overwhelming, as you can imagine. Hundreds of prayer shawls, blankets, and textiles. Boxes of correspondence. Artwork, stuffed animals, pieces of plywood covered with signatures. Fire hydrants and trees coated with messages in permanent marker. Not to mention thousands of emails. Mother Emanuel leaders reached out to city representatives and professional preservationists to help manage this excess of condolence. The Charleston Archives, Libraries & Museum Council aided in the formation of a Memorabilia Sub-Committee. Volunteers moved material out of the heat and heavy rains and into climate-controlled storage. Visitors replaced the flowers and crosses and candles quicker than they could be archived. By the end of August 2015, the collection already filled two rooms and it continues to grow. How could this outpouring - physical traces of the ways tragedy ripples endlessly outward - be preserved for posterity? What would happen to everything once the media spotlight shone elsewhere? One answer is this online tribute, "A Tribute to the Mother Emanuel Church." The Memorabilia Sub-committee partnered with a number of organizations and institutions (Lowcountry Africana, the Lowcountry Digital History Initiative, the College of Charleston's Avery Research Center for African American History and Culture, CofC's Race and Social Justice Initiative) to "highlight images of the memorabilia left in front of the Mother Emanuel Church every day, as well as images of local, statewide, and national responses to the mass shooting." Perhaps the best place to start is with the memorabilia itself. The images archived here will make for invaluable tools to teach religion and material culture. Anyone studying violence and memory now have a wealth of photographic sources to explore. Some of the most provocative images, for me, are those documenting the reactions visitors have in this public space that has been violently transformed into site of mourning. 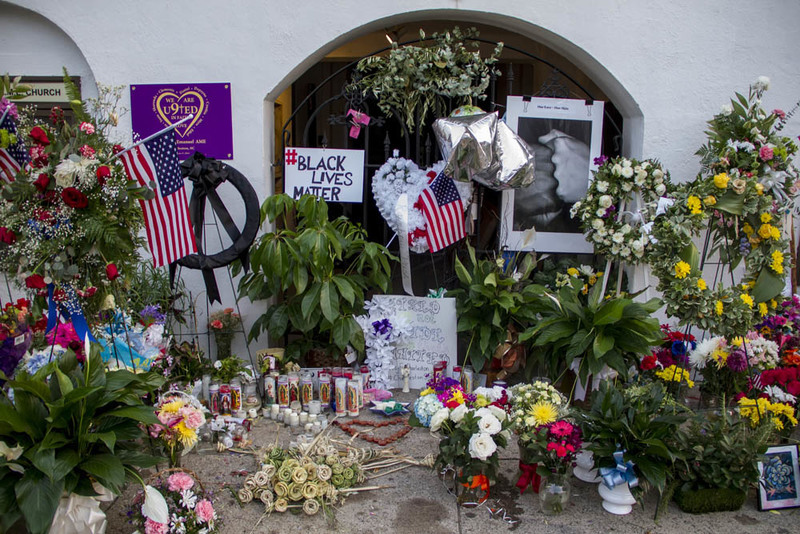 Most visitors are not members of Mother Emanuel. Many likely aren't even from the state of South Carolina. What occurs in this space, exactly? What happens in the relationships among strangers surrounded by objects made sacred in this particular place? And there's more. There is a catalogue of the responses (local, statewide, and national) to the Mother Emanuel massacre that includes everything from the prayer vigil the night after the shooting to President Barack Obama's eulogy to photos of vandalized Confederate monuments. There is an interactive timeline of events. There are educational resources: #Charlestonsyllabus and extensive lists of online essays, print material, and documentary films. This collection of tributes itself becomes a tribute when it opens and closes with hymns sung in memoriam of the Emanuel Nine - Rev. Clementa Pinckney, Cynthia Hurd, Rev. Sharonda Coleman-Singleton, Tywanza Sanders, Ethel Lance, Susie Jackson, Depayne Middleton-Doctor, Rev. Daniel Simmons, Myra Thompson. As we approach one year without these nine women and men, one year after the unspeakable changed a stretch of sidewalk and street into a sacred site, I'd encourage you to explore this incredible resource for yourself. 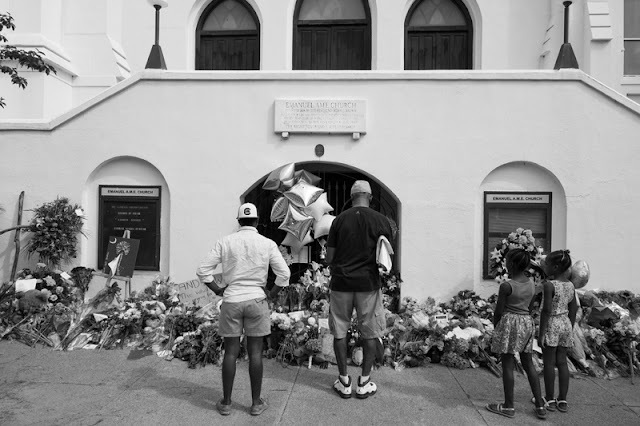 Once again, http://ldhi.library.cofc.edu/exhibits/show/mother-emanuel-tribute. * "A Tribute to the Mother Emanuel Church" photos are published under the Creative Commons license linked here.